Metal cans, food packaging and plastic bottles make up the majority of litter found in the Thames and its tributaries, according to a new study. The Marine Conservation Society (MCS) and charity Thames21 carried out a series of river cleans between the end of 2017 and the summer of 2018. Just under half of all items found during the searches were discovered near Southend-on-Sea. 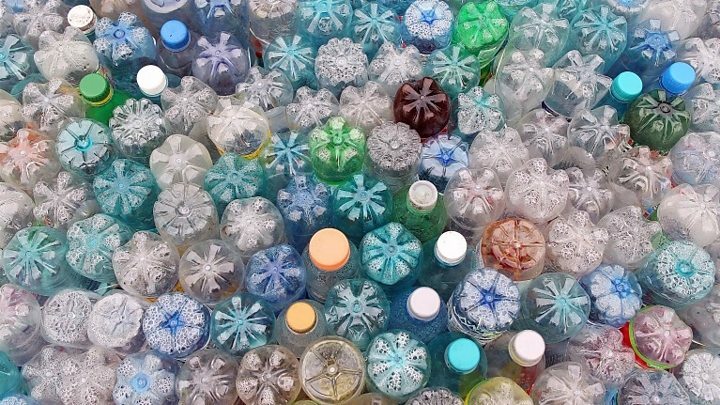 MCS and Thames 21 called for a "deposit return scheme" to be introduced. This would see people pay an increased deposit when buying drinks bottles and cans - but consumers would get the money back if they returned the container. Thames21 ran 20 river clean events at Thames tributaries and tidal sites. These included areas in the River Lea, in Hackney, the Bear Brook, in Aylesbury, and the River Brent in Neasden. On the tributaries, volunteers found that 78% of the items they picked up were single-use with an average of 219 pieces of rubbish collected for every 100m surveyed. But, research showed that the concentration of litter items found per 100m rose as the Thames made its way towards the sea. Wet wipes were found in huge numbers during the clean-ups on the Thames foreshore, whilst glass and unrecognisable plastic litter dominated at the estuary cleans. 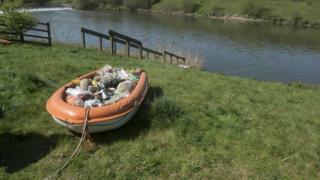 MSC's beachwatch manager Lauren Eyles said rivers were being "harmed" by large amounts of plastic. She added: "We find much more unidentified, tiny plastic at these sites because the plastic has been floating around for some time. "However, they may well have once been single-use. Beach cleaners are far more likely to find microplastics these days than larger identifiable items."